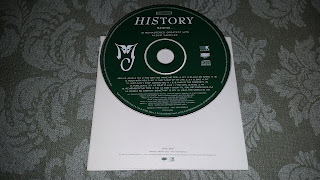 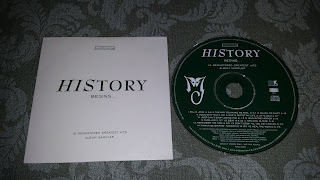 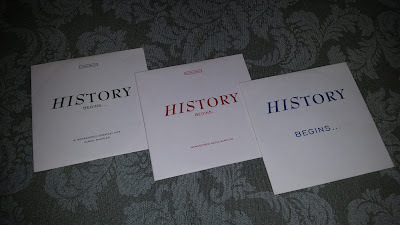 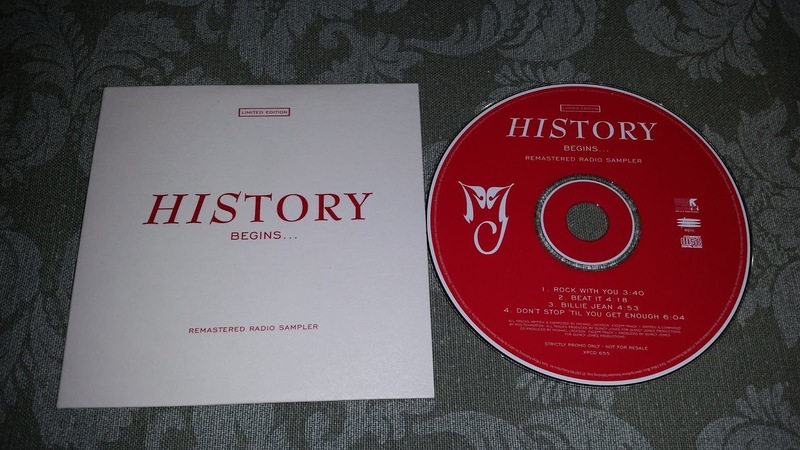 This week, the item(s) chosen for the prestigious "Record of the week" place, are 3 papaersleeve cds sent to radio stations, to promote the forthcoming (at the time) release of the "HIStory" album. 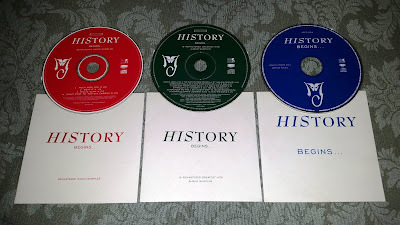 All 3 cds have a white background artwork, with the title "HIStory begins" on it in 3 different colours : blue, red and green. 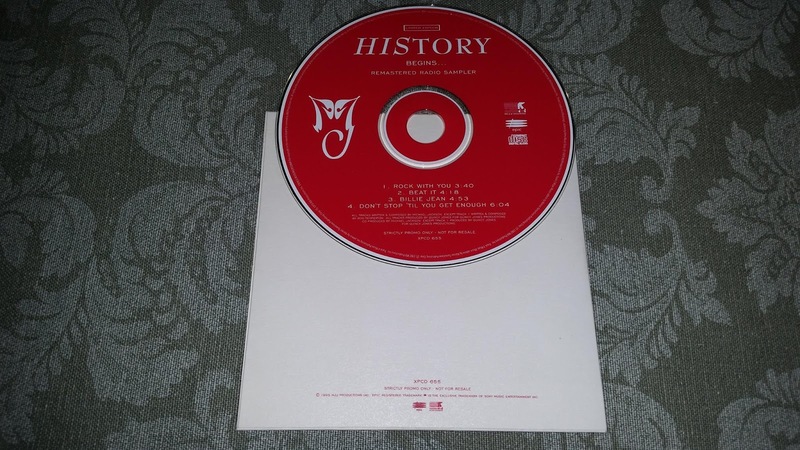 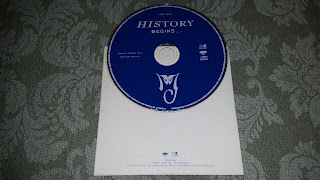 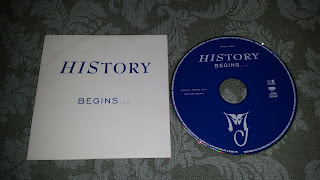 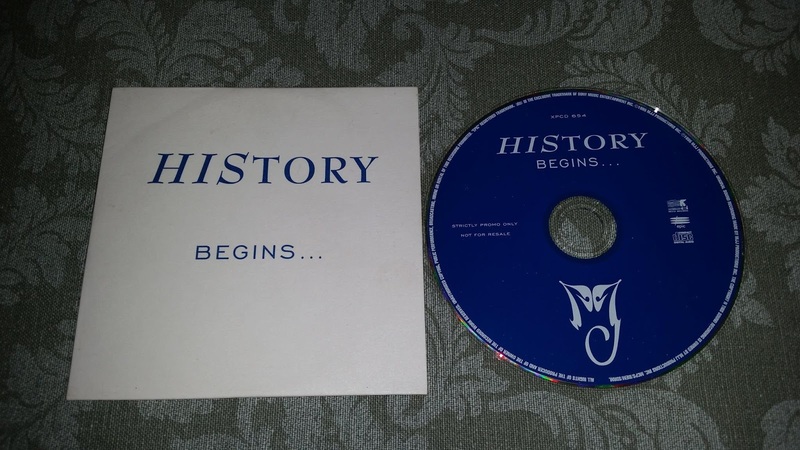 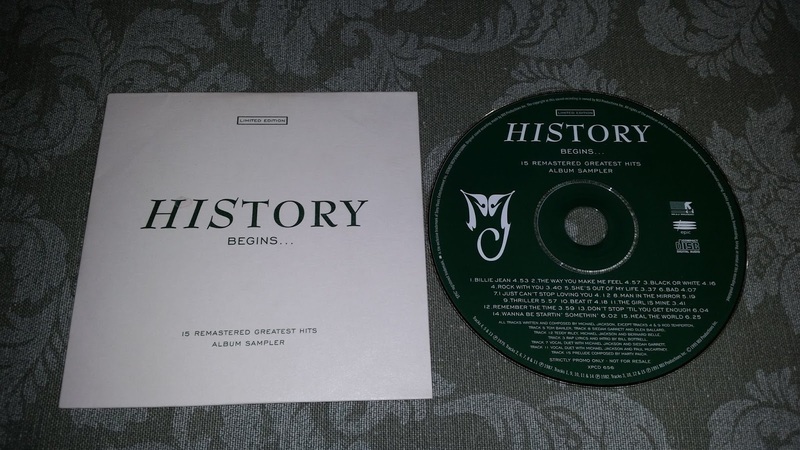 The blue version contains only 1 track (a special megamix of the hits included on the first HIStory cd), the red one have 4 tracks (Rock with you, Beat it, Billie Jean & Don't stop), while the green version is a truly "sampler" album including the full content of the "HIStory" cd 1. 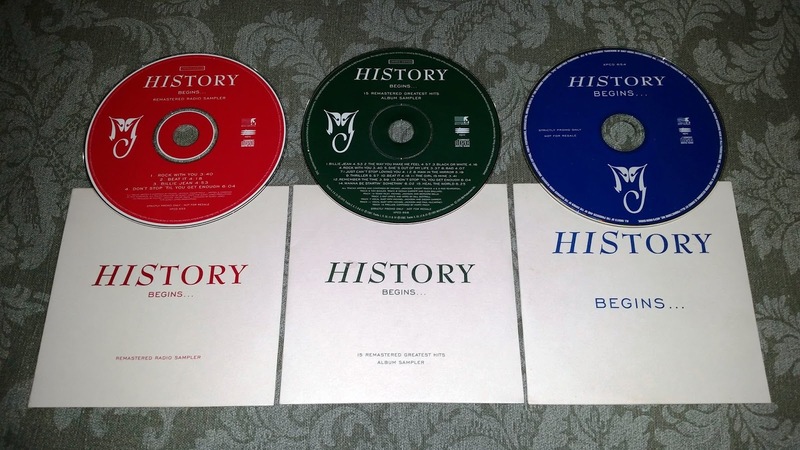 Each cd have a colour artwork matching the one on the sleeve, and all 3 report the writing "limited edition". I can't say whcih one is the rarest, but the 'red' one with 4 tracks seems the most difficult to find, and the 'green' one the most common.